I have decided to start a new series entitled "Living Life Profashionally" in which I will interview someone who is Living Life Profashionally on a monthly basis! I believe that to Live Life Profashionally means to strike the balance of being professional and fantabulous. It means to carry yourself with class and to never stop reaching for your goals whatever they may be. 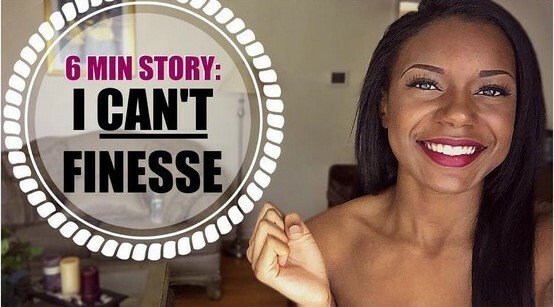 This month's interviewee will be fashion and beauty vlogger, #BlackGirlsYouTubeToo! She infuses her bubbly personality into everything she does, making her vlogs fun and addicting to watch. 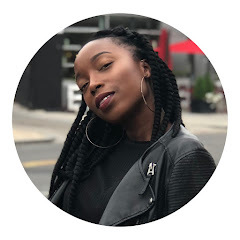 After only 9 months of vlogging, she has hit over 1,300 subscribers and to top it all off, she's a good friend of mine who attends THE MECCA a.k.a Howard University! TPF: How did you start vlogging? Judayah: I started my channel with the original intent to post makeup tutorials and quick "Get Ready With Me" videos but after the first few uploads, I felt like I could offer more. I always thought that I was way too awkward to talk in front of a camera and have someone on the opposite end actually receive something from it, but decided that I would take my chances. In my video, "What They Won't Tell You FRESHMEN #HU19", I announced that I was a Howard student. I was nervous about how people would take it but it ended up being my most popular video and that's when I realized that I had something important to share with others-- a voice. TPF: Why did you choose #BlackGirlsYouTubeToo? Judayah: I chose #BlackGirlsYouTubeToo because I was tired of being underrepresented. I watch YouTube videos all day, every day for all different types of things: DIYs, comedy, make up tutorials, advice, you name it! I noticed that no matter what I typed in the search bar, women who looked like me were never the top hits. Why should I have to specify "For Dark Skin" just to see something or someone that pertains to me? Every time someone hears or sees my alias I want them to remember that black women most certainly are doing our thing on here as well! It doesn't just stop at YouTube, and to be honest, it doesn't just stop with Black girls. Any one of us can do anything that we put our minds to. I refuse to let the top hits, society's standard of beauty, and the naysayers tell me any differently. TPF: What is something important that you have learned from the vlog world? Judayah: I would say that the biggest thing I have learned from vlogging is that everything and anything you say can have an effect on others. People can immediately tell when someone is being real or fake and it's truly a platform to make a difference in someone's life. TPF: What do you think is the best service a vlogger can provide to his/her readers? Judayah: Honesty. No matter what you're talking about or what you're trying to sell, make sure you are honest about it! The last thing you want is to lose subscribers and support because of insincerity. Making money should not be your sole motive. Without passion and honesty, you will not get very far. TPF: Best tip for new vloggers? Judayah: Before your first post, write down the reasons why you are starting. Identify what your goals are with doing this and why you think someone might find what you have to say beneficial. It really helps in keeping you on track, motivated, and genuine. Judayah: Good question! Judayah is a quiet, nerdy girl from the middle of nowhere in Upstate New York. She is a huge goof ball with a struggling makeup addiction. She's just a Howard girl with a webcam and an iPhone trying to make her dreams come true. TPF: Your top 3 beauty products you can't live without? As much as I love makeup, I could live with these basics. I like to make sure my skin is seamless, my brows are fleeked and my lashes are luscious. TPF: Favorite thing about Howard University? Judayah: The thing that I love most about the Mecca is how it exposes people to the diversity within one race. Black is really undefined and doesn't follow the stereotypical trend-- it sets it. I had no idea until I came to Howard. TPF: Tell us your style staple! Judayah: Almost everyone knows me for my signature black floppy hat. That is my go to accessory. Whether my flexi rod set is popping or my leave out is in distress, the hat defintely compliments any hairstyle and hides any disaster. Judayah: At 29, I see myself being happy. I am not very big on marriage or children, but I can see myself being surrounded by family and good friends. My 10 year goal is to work through television, preferably as a talk show host. I want to give the facts like Oprah, have fun like Ellen, and serve the tea like Wendy! TPF: What do you love about The Profashional Life? Judayah: I love that you are doing what you love and helping other people at the same time. You are the most fashionable person I know and it would almost be a crime for you not to share that with the world. I love that you are being yourself even behind a screen. Judayah: I originally thought that to Live Life Profashionally meant to embrace my inner fashionista while remaining professional. I read your #INTERNSZN post and I think that hits the idea right on the head. I believe that to Live Life Profashionally is more so about creating a safe place for fashionistas to be inspired. As you said, there is absolutely no reason why we can't be the best dressed in the office! Want more from Judayah? Check her out on YouTube, Twitter, and Instagram! I figured a friend might make my first interview go a little smoother! Lol but no unfortuantely, I do not have a Youtube Channel. Be sure to check hers out though! Amazing tips for a beginner vlogger such as myself!! I am so happy to hear that! I would love to check out your vlog!